Sculpture in Stone (MFA), no. 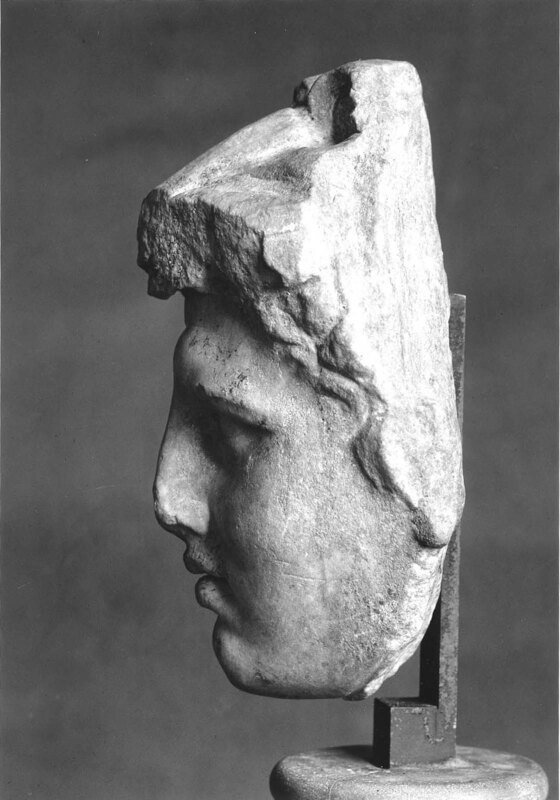 126; Sculpture in Stone and Bronze (MFA), p. 110 (additional published references). The head appears to have come from a statue, but it could have been part of a figure carved almost in the round against a background, in an architectural niche. The head is broken off diagonally in such a way as to leave the face and the edge of the surrounding lion’s skin preserved at the sides. The left front of the animal’s muzzle has been further damaged, and the tip of Herakles’s nose has also suffered. There is considerable incrustation on the right side of the face. 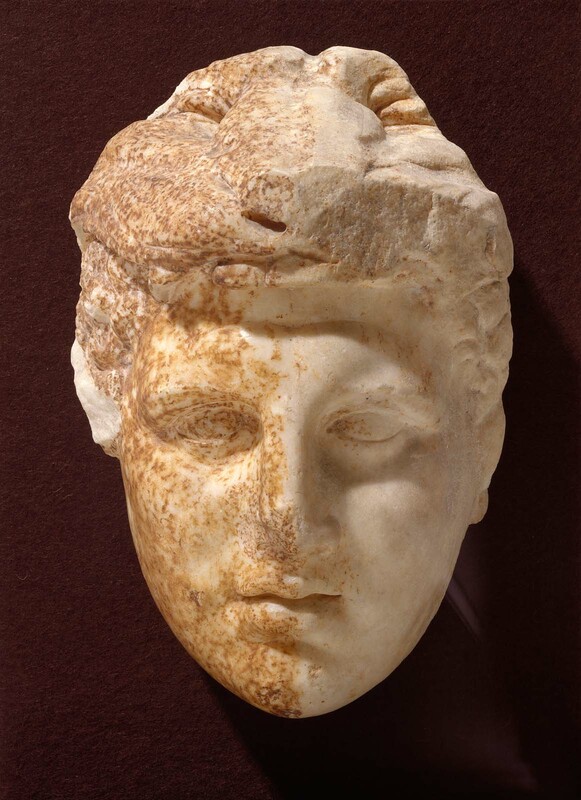 Images of the young, beardless Herakles became popular in the fourth century B.C. ; the hero is identifiable by the skin of the Nemean lion, which he killed as one of his first labors. Alexander the Great used heads of the youthful Herakles on his silver coinage, and these images soon became identified as Alexander himself. The sensitivity and the youthful freshness of this sculpture have long caused it to be identified as a portrait of Alexander, whose uninterrupted chain of conquests amply justified a comparison with Herakles’ mythological exploits.